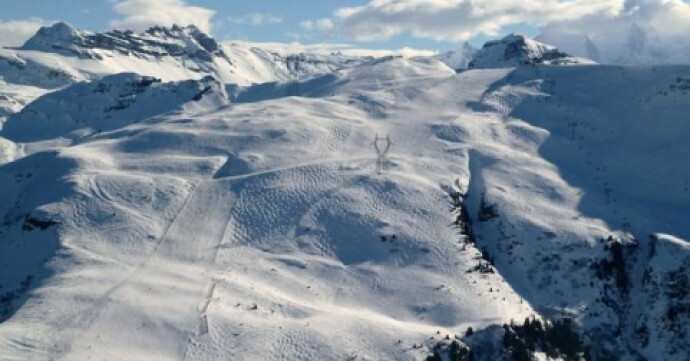 The impressive Le Grand Massif ski resort consists of five linking locations, including Morillon a picturesque commune located in the Faucigny area of France. Famed for its welcoming nature and relaxed skiing opportunities, Morillon is becoming the resort of choice for many families and beginner skiers. With a relatively small population of roughly 646, Morillon has been able to keep its pastoral, rustic charm. Walking around the resort will inspire feelings of tranquillity and peacefulness as the authentic town is centred around the 16th-century church of Saint Christophe. Morillon wooden chalets are situated against the backdrop of pine forests and panoramic mountain views of Mont Blanc, making the location appear unspoiled as if it has been carefully frozen in time. Although it has a traditional atmosphere, Morillon offers multiple investment opportunities. Unlike other resorts which can only operate during ski seasons, Morillon hosts both winter and summer activities, bringing in tourism year-round. The stunning lac bleu located in the Morillon village is suitable for swimming during summer and is host to countless other water-based activities. With slopes ranging from 700 to 2500 metres in altitude, Morillon offers exceptional alpine skiing and snowboarding opportunities. For Nordic skiing, Morillon is home to valley slopes suitable for both skating and classic style skiing. Ski tours are also available for those who favour off-piste activities. 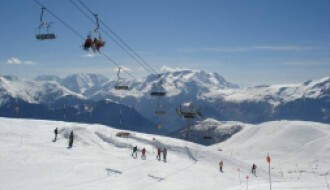 For beginner skiers or young children, Morillon has a ski school that accommodates skiers of all abilities. For adrenaline seekers, paragliding, ice climbing and helicopter rides can all be arranged. Renowned for being a family-focused resort, Morillon has multiple fun activities for children including sledding, a snow garden, and play areas. The on-site daycare is perfect for children too young to ski or for children who prefer indoor activities. In the warmer months, white water rafting, tree climbing, and mountain biking are just some of the fun activities on offer. Children can learn how to fish, ride a horse and swim all within a safe environment. 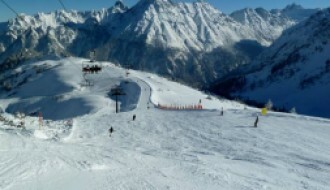 With a range of altitudes available, Morillon benefits from both pleasant weather and good yearly snow. The resort often gets around 300 cm of mountain snow on average, and as much as 500 cm. For an up to date snow report, take a look at our Morillon resort guide here. Snowfall is usually consistent between the months of December and April which is Morillon's peak ski season. With so much more to offer than skiing alone, Morillon's idyllic village has all the amenities you could desire, while retaining its rustic charm. With a bakery, cheese shop, and souvenir shop being amongst some of its popular shops and services, the village continues to thrive year round due to its permanent residents. Although Morillon is considered a family resort, it still offers plenty of opportunities for celebration. Home to three lively bars, if a cold beer in a warm atmosphere sounds appealing, Morillon can deliver. The word 'Morillon' roughly translates to 'village built on a stony place'. While this would have been historically accurate in terms of landscape, it can now be seen to represent the harmonious relationship Morillon has with nature, and more can be learned about this at Morillon's culture and heritage EcoMuseum. The culture of living in Morillon is based on pastoral values, which is evident in the aesthetic appearance of the village. The friendly tourism centre offers internet access and can help arrange any activities you wish to pursue. If you become a property owner in Morillon you can join the tourism office to promote and advertise your property. As a prospering region, Le Grand Massif ski resorts are constantly receiving new upgrades and improvements. For Morillon specifically, the popular blue run has been updated, creating a longer, winding run. For those interested in a property investment guide Morillon-based, investment opportunities are predominately in chalets. Property prices range anywhere between 995,000 euros for an 8-bed chalet to 116,000 euros for more modest apartments. With skiers often seeking the best of both worlds - a peaceful stay in Morillon with easy access to more bustling Le Grand Massif ski resort locations - buying a property in Morillon is a popular investment choice. Morillon is ideally located 60km from Geneva airport, and once you have arrived at the airport there is a regular bus service that will take you directly to Morillon. For those driving, Morillon is roughly 2 hours from Lyon and 6 hours from Paris. Getting around Morillon is easy with a free ski bus and reliable taxi service. 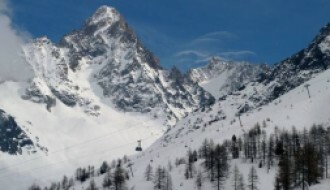 For transportation to the slopes, Morillon boasts a ski lift and tram service.